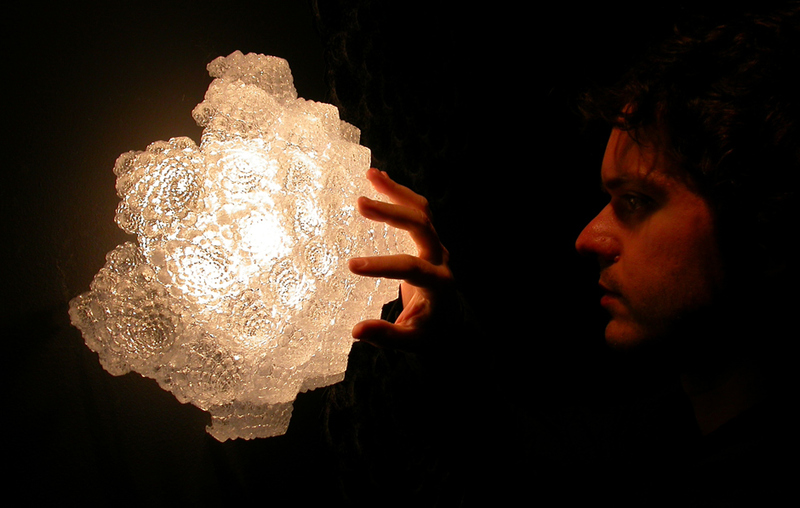 Above is a lamp created from a fractal design using stereolithography. There are lots of interesting ideas for 3D printed lamp shades out there, most of them novelty items like this one. Novelty item in the sense that there is not much added utility to this lamp coming from the fact that it is produced using additive manufacturing. It just couldn’t easily be produced before. But lamps are interesting, and there could be, at least some, utility from using additive manufacturing when it comes to context-dependent light design. One example would be producing lamp shades to cast light designed specifically for the room you’re in. Based on the geometry of the room, the position where you are planning to put a lamp, and the light characteristics you want in the room, a 3D design file would be created and the lamp shade printed out. Advanced designs could differentiate light in either end of the room and take into account doors and windows.